Lane Hoss, Vice President Marketing and Beverage Director, Anthony’s Restaurants. Lane has been active in the food and wine industry for over thirty years. Her interest in wine began while she worked as a Captain and Wine Steward for the Edgewater Inn in Seattle, Washington. Her current position with Anthony’s Restaurants combines her skills in marketing as well as her knowledge of the beverage arena of the hospitality industry. Lane heads the Liquor, Beer and Wine Committees for Anthony’s and is a member of the Menu Planning Committee. She coordinates the company’s wine selections, costing, promotion and service training. Lane has served on numerous wine committees including the Washington Wine Commission’s World Vinifera Conferences” Steering Committee and chair of the Washington Athletic Club Wine Committee. 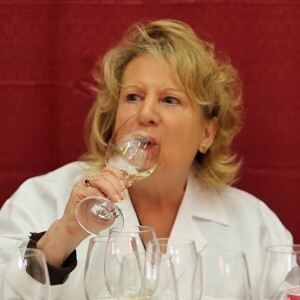 She has also participated as a judge for numerous wine competitions and on tasting panels for various publications. Lane was awarded the 1995 Restaurateur of the Year award by the Washington Wine Commission. At the 2003 Washington Wine Restaurant Awards, Anthony’s was awarded the Washington Wine First Award and Lane was the first recipient of the Walter Clore Honorarium Award. In 2004, Anthony’s was awarded Restaurant of the Year. Anthony’s wine program has received more awards from the commission than any other restaurant group with awards including Best Events Featuring Washington Wine, Best Out of State Wine Program, Winemaker’s Choice Award and Washington Wine Grand Award. Anthony’s wine program has also been recognized by Wine Press Northwest and the Washington Association of Grape Growers. An active member of the Washington Restaurant Association, Lane is a past chairperson of the Board of Directors. She was their “Host of the Year” in 2003. She has also been recognized with the National Restaurant Association Grassroots Leadership Award. Lane is also a member of Les Dames D’ Escoffier. Anthony’s Restaurants owns and operates twenty seven Northwest seafood restaurants in twenty three waterfront locations in the greater Puget Sound area as well as their own seafood company, Anthony’s Seafood. The company is privately owned by Seattle native, Budd Gould, the Gould family and a group of senior managers. Lane and her husband, Verne Benedict, Jr. reside in Kenmore, Washington.